The whole reason we regularly share blog posts is to introduce you to concepts that will take your practice to the next level. Virtually every client we’ve brought aboard was not earning enough in the practice or saving enough of their income. After all, you attended dental school and bought a practice to help people, right? Who knew running a practice would also mean making costly mistakes; some of which you discovered after you could avoid them. So while many of the concepts we’ve shared in this space focus on the big picture, there are lots of plaes specific mistakes or bad judgment calls many Dentists and Specialists make when it comes to running a practice. While we are NOT a practice management firm, we do have a Rolodex full of some great ones we refer our clients to when they need a laser-like approach to fix a specific problem. Occasionally we ask them to write guest blog posts or recommend post ideas. One of those experts is Rachel Wall, owner of Inspired Hygiene, and an expert in getting the most income out of your hygiene team. "Having a sharp team is a beautiful thing, but assuming everything is being taken care of is a big mistake," Rachel said. She shared with us five ways you can unlock profits and production from your hygiene team . . . all while lowering overhead at the same time. That’s Right! Do this at every hygiene visit AND make sure the data is being recorded. This is a huge area of liability for you and it’s your hygienists' responsibility to collect and analyze this information. One way to find out where you stand is to perform an audit of your charts. Try randomly pulling 20 charts of adults seen in the last 6-12 months. How many have a complete Perio exam recorded in the last year? Chances are very good that if the percentage is low, so is the amount of Perio treatment. Rachel’s interpretation of the AAP’s Perio Classification system is that Beginning (slight) Periodontal disease is 4mm pockets with bleeding and slight bone loss and 1-2mm CAL. This is a huge distinction for many dental teams. Often, these are the “difficult prophies” or the patients that have three-month prophy intervals. It’s not uncommon for hygiene teams to wait until pockets are 5-6mm deep before beginning treatment while valuable the patient loses valuable bone that could have been saved. Oftentimes critical steps are left out of the hygiene exam when time is short. If you move from 40 to 60 minutes for adult recare and Perio maintenance, it’s important to outline exactly what will take place during that time. It’s an inefficient use of your time as a Dentist for you to carry all the load for keeping your book full of comprehensive, productive treatment. Empower your team to help you! Set up the expectation and then clearly communicate your treatment philosophy. For instance, your team needs to know when you prefer to recommend a crown versus an onlay. It’s a good idea to schedule time to sit down with your team and outline your specific treatment recommendations regularly, even if the same team has been in place. There are very few patients in your practice who would NOT benefit from the application of fluoride varnish and/or a fluoride appliance for home use. Think about it. What percent of your patients have crowns, bridges, onlays, abfraction, recession, interproximal fillings or sensitivity? Educating patients about the value of fluoride therapy and it’s protective benefits will get them on board and more importantly? They’ll pay for it! So for instance. If your practice has 1,500 active re-care patients, skipping adult fluoride therapy is costing you at least $100,000 per year in lost revenue! If there’s a smart way to increase production we want you to know. And we’re big fans of implementing forward-thinking strategies to improve the profitability of your practice. We also work with practices that seem to be producing plenty but aren’t satisfied with the income that comes from all that work. Once we delve into our clients’ inner-workings, we identify places to make big changes. That’s why the Dentists and Specialists we work with increase their savings by 50% in the first year and are soon on their way to saving $100,000 or more each year after that. Maybe we can help you. Contact our own Brian Wilson at bwilson@4quadrant.com to find out! 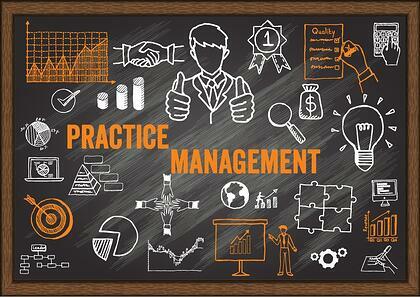 The insights practice management firms provide can do a lot of good for your dental practice. But that doesn't mean that it's right for everything, or that it's a perfect fix for your issues. Think of a laser versus a bur. Using the wrong instrument in the wrong situation can lead to disastrous results. We’ve worked with hundreds of different clients and analyzed the practices of hundreds more. Dental practice problems can be separated into two very broad categories: Procedural (require small adjustments) and Philosophical (require major changes in the approach to one’s practice). For instance, if your hygiene department is not as efficient as they need to be, that’s a procedural problem that can be corrected and avoided by implementing new policies and procedures. This would be a great assignment for a practice management firm to work their magic. But if you’re not producing enough, or you have ebbs and flows with your cash flow, sending in a team of practice management experts to do the work of an accountant or someone with an MBA will only lead to frustration. And if they recommend to "just work harder so you can produce more," that will not fix your cashflow issues. It’s important to note that we are not a practice management firm. In fact, we refer clients to them on a pretty regular basis because they can help in certain procedural circumstances where fixing a very specific problem in a very well-defined area. If they chart a successful path to Hygiene Department efficiency that’s great! But it doesn’t mean they should help you chart out new paths to profitability by “investing in a CEREC machine" if it doesn't fit your business model. Expanding the procedures you offer with a fancy machine may sound like a great idea, but was the Return on Investment figure that won you over calculated generically or with your practice in mind? Did they provide data on how your cash flow will be impacted while your staff undergoes all of the training you will need to run it? Do they even have a handle on your cash flow for the next six months? Do they know? Do you? What if the recommendation was to retain another Dentist? Have the expenses of adding and retaining another dentist — and the impact on cash flow — been considered? 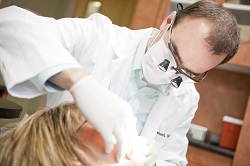 How much do you pay the other dentist, and can you do it without jeopardizing your own income? What happens if you put it off for six months? Do you have anyone intimately familiar enough with your overall financial situation to help you make that call? Any major decision that you make has to be linked to all the different sectors of your finances. A decision made without at least two to three correlations made between your practice cash flow, your practice debt structure, your personal cash flow, and your retirement can become a misplaced business decision. And too many of those decisions can ruin your retirement or even your practice. Good practice management firms want to help you fix problems and will be among the first to recommend working with someone else when they see you need a healthier approach to complex tax issues or to reduce your inflates overhead. If you feel like you’re on your own island — afraid to take action in any one direction — you’re actually not alone. Practice management might be the first section of the bridge off the island, or it may not be needed at all. You won't know until your overall practice is evaluated honestly. If you have questions about whether practice management, or something longer term, is right for you, contact us today to discuss your concerns and possible strategies. We've also developed a quick, easy (and free), questionnaire designed to give you valuable insights into the current health of your practice. Click here to take it today! We’ve shared many eyebrow-raising statistics in this space, but here's one the American Dental Association reported recently that still makes us shake our heads in disbelief: only one in four doctors hired as associates become partners in the dental practice that hired them. That’s especially shocking when you consider part of the reason an associate is hired is because the Dentist sees them as partner potential. 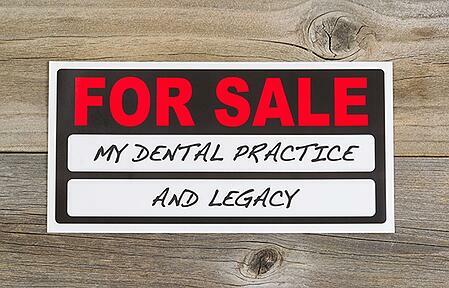 For a Dentist especially, your practice is your legacy. With so many swings and misses, how do you go about finding the right partner and eventual successor for your practice? Do you sell your practice in parts, or all at once? Do you even know if you have a choice? How do you make sure you get your money’s worth without gouging your successor? When’s the right time to make the switch? 1. Stop waiting, start planning: Most dentists wait until it's too late to start planning their practice transition. Don't make that mistake. How much time are you losing? Start planning now, so you don't risk letting your life's work disappear—we suggest starting the process 10 years before you want to retire. This still leaves all options on the table and allows for you to find the right successor. Even if you do everything right, what happens to your practice immediately after you sell it and retire is up to you. You can have a custom transition process, and ensure that everything is executed to your liking; this is not a square-peg/round-hole situation. That allows you to find the partner who’s best suited to carry on your legacy, and to protect the parts of your practice that you most value. 2. 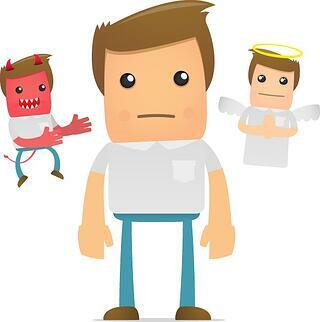 Make a rigorously honest self-appraisal: Not every practice can handle the requirements of a custom transition. Do you have enough production? A large enough facility? Do you have low enough overhead to be able to take on an associate? If not you may be forced into a walk-away sell – zero to six months of preparation, then you hand over the keys and leave. That may not sound like what you want, so your priority should be to get your finances in order so that you can transition properly. Again, doing this over 10 years before you plan to retire is ideal. In a way, you’re preparing the nursery for a new bundle of joy, so to speak. 3. Visualize success: If you could write the script, or maybe a time-line, for how the ideal transition comes together for you; how does it play out? What’s most important to you, what do you want to dictate? Don’t try to ask for too much – there will be a lot less interest in joining up with you if you’re perceived as a meddler. Nobody wants to run a practice if they won’t actually be running it. 4. Don’t hide blemishes from your successor: Many Dentists don’t think about how they leave their practice to their successor impacts the rest of their life. But we’ve been worked with dozens of Dentists for decades and let me be the first to tell you - IT DOES! Be up front with your successor, both with your philosophy as a dentist and with what things are important to you. You need to find the perfect successor to your practice, not just the first person who’s willing to come in that’s willing to give you a check. 5. Ahhhh! The Tangled Webs We Weave: Finally you need to evaluate the way in which you want to unwind yourself from the practice. Are you going to quit cold turkey? 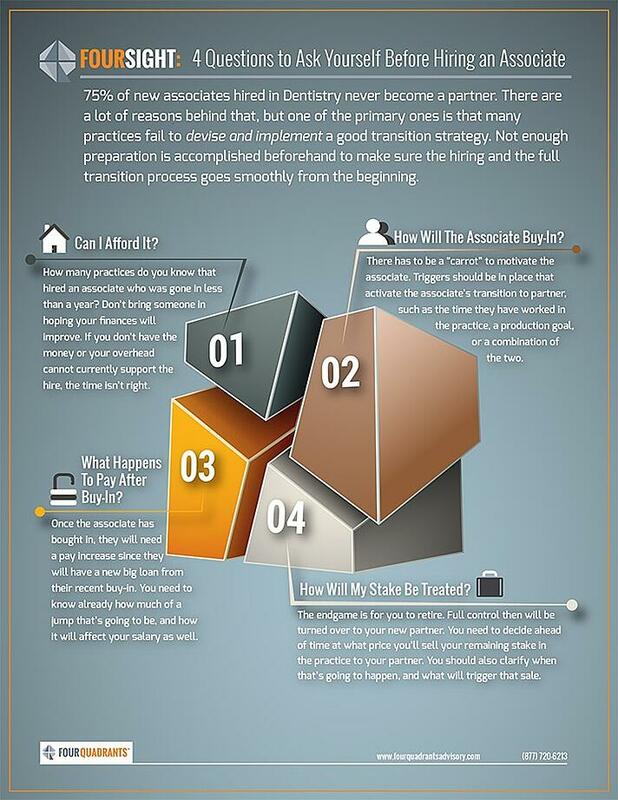 Are you going to phase yourself out, and gradually sell the practice to your new associate? From our experience, the best for all involved is for you to leave gradually. You get to keep working until you feel totally ready to leave. Your patients get to meet your new partner, and see you work together as a team. And your successor gets the increased goodwill those interactions create. As a result more of your current patients stay and that only creates positive value for your practice. In the end, a custom transition isn’t just best for you, it’s best for everyone. Keep in mind it’s a transition, not a transaction. If you need help visualizing how your practice will transition successfully call us today at (877)720-6213, Send us An Email, or fill out the form below. How hard do you work to make your practice a success? As you prepare to answer this question, what determines your response? Emotional energy? Putting out dozens of “fires” caused by staff or patients? The physical toll patient care takes on your back, limbs and fingers? We’ve analyzed hundreds of practices over the years; many of them became clients, some did not. 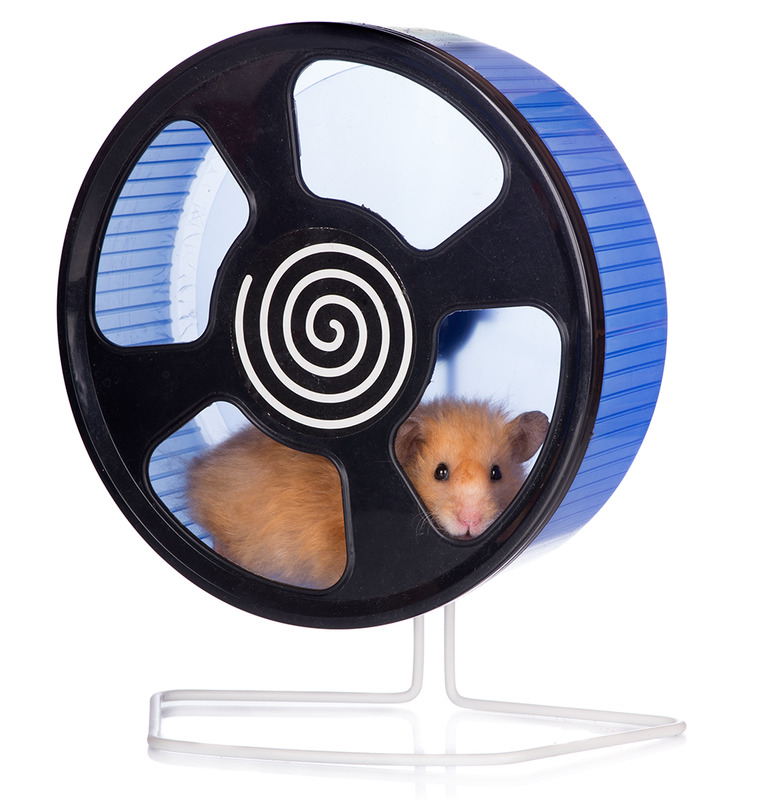 Our first impression of so many of them often resembles a hamster on an exercise wheel. Despite all their hard work, they remain in the same spot financially. And despite occasional bursts of energy to free themselves, the Dentists only spin the wheel faster while it contains them in the same corner of the box. Just before the Great Recession in 2008, the American Dental Association surveyed its members and determined they’re not much different than the average American in terms of financial planning. They found that 96% of Dentists are not saving enough money to maintain their current lifestyle in retirement. Americans overall don’t save enough, but it’s a bigger problem for the Dentists because a cash-based business such as Dentistry won’t sell for enough to sustain lasting income, and the Dentist’s lifestyle often requires more income at retirement than that average American. We could all learn a lesson from our grandfathers who emerged from the Depression era with a drive to save while at the same time not spending money they don’t have. The Great Recession seems to have created a movement back to this kind of pragmatism today, but time will tell. When faced with the spinning wheel, our clients work with us to slow it down so they can finally step off and put their energy in a productive direction. Most dentists we work with — those who are producing above $750,000 each year — are already busy enough. They don’t have to produce their way out of their financial doldrums. Imagine if you could press the pause button and take a hard look at how everything financial in your life and practice is inter-related and then make changes to dramatically increase savings without changing the way you practice. Pure savings. Not returns in the market, not real estate gains, and not promises from hedge funds, options, shorts, swaps, IPO’s, or complicated insurance products. A Dentist really can save more than they ever thought possible while their lifestyle remains the same. It’s not easy, but it's definitely possible. You can do it with a pragmatic methodology that combines great cash flow, acceptable profit, and a custom financial plan. Are you going to produce your way out of it like the hamster, or are you ready to get serious about saving? You need a plan and you need a thorough and comprehenisive plan. But how do you build a financial plan without years of training and experience? It’s not as hard as you think – with a little guidance. We're the only firm in the industry to guarantee that you'll be saving at least 50 percent more after your first year with us. Click Here to find out more about our Financial Plan created with Dentists and Specialists in mind. It will map out what you need to do, and how you can get there. The Stock Market’s performance of late looks a lot like my first and last ride on a roller coaster: nauseating. The fact that an unexpected move by China to manipulate its currency value can cause such market fluctuations only underscores following a strategy we’ve emphasized with our clients over and over again since Four Quadrants’ inception: stop chasing BIG returns! I’ll be the first to admit, chasing such returns can be a hard temptation to resist. But there’s a direct correlation between increased risk and increased potential rate of return. Many dentists feel the pressure to make large sums quickly to try to build a floundering retirement plan. At Four Quadrants Advisory, we recommend a more conservative investment strategy that concentrates on building savings first. You don’t need to chase that high rate of return when your practice finances are structured so that you can save $100,000 a year. Make no mistake — this success does not come entirely from investing alone; having the ability to save more over time is a key component to success. Without the ability to find this extra money for the savings, the cycle of winning some and losing more will continue for you. It all makes sense if you think about it: if you have more to invest, then you don’t have to rely so heavily on your returns. This coupled with the concept of the time value of money and compounding of interest is a key tenet in the investing world. This concept stresses the importance of getting money invested sooner - as opposed to later - which will allow it to grow more quickly. This is also very significant when you consider that higher rates of returns come with a higher price of more risk—one of the primary laws of investing. Focus on what you can control – your savings, not market returns – and avoid exposing yourself to the unpredictable machinations of the stock market. In 2008’s financial crisis, those who were heavily invested in risky stocks lost between 30 and 40 percent of their value. Those who were more conservative in their investments lost much less. You need a plan. You need a thorough plan, and you need it now. But how do you build a financial plan without years of training and experience? It’s not as hard as you think – with a little guidance. If this post raises some questions, fill out the form below, and we’ll get back to you quickly. You can also contact Brian Wilson, our Business Development representative, directly at (877) 720-6213 or bwilson@4quadrant.com. It’s absolutely key to make sure the partnership is equitable – no 51-49 percent splits – the associate has to be treated as an executive from day one. With the massive debt today’s Dental school graduates incur, you won’t be able to compete with corporate dentistry if you aren’t offering stable salary from the start. They have to be treated as your equal as much as possible to make the transition smooth when you do eventually leave. If done right, all of this planning will help your staff, patients, and revenue make it through the transition from you to someone else pretty cleanly. But if not, you’re likely to end up looking for a new associate. If you're unsure about hiring a new associate, or have additional questions about the process, reach out to us today! Or you can contact our own Brian Wilson at bwilson@4quadrant.com or (877) 720-6213 today. And carrying it with you has been demonized by the media and financial gurus for two decades now. As you have heard it and had it taught to you, getting rid of debt is supposedly the universal key to financial freedom. It may seem obvious that if you’re in debt, you should pay it off as soon as possible. Dentists especially take on a lot of it because they need expensive equipment and offices to house their practice. Let’s not forget about the 6-figure student loan debt as well. It's all of these reasons why Dentistry is one of the most capital-intensive businesses to start in the world. But paying down debt as feverishly as possible can get your practice in a lot of trouble. Debt has become more than a pool of money on the wrong side of the balance sheet - it’s an emotional burden you’ve allowed to seep into more of your lives than it deserves. There’s a battle between emotion and logic when facing it down. But Four Quadrants believes some debt is not only OK, but necessary, to building a healthy practice and retirement. Take that in for a moment . . . debt can be a good thing. We understand putting that mindset in motion is tough and goes against all you’ve been taught previously. Debt is sitting in the seat next to you, while retirement savings seems a long way off. So what makes some debt "good and some "bad?" We classify the kind of debt on your books as simply “good” if it's a loan to buy a new piece of equipment for your practice, or your mortgage. An example of bad debt is a high-interest credit card. Therefore, if you have a lot of bad debt, it should be eliminated. The good debt can be managed gradually. In terms of taking on new debt it's important to ask: "Why am I putting the practice into debt?" Is this purchase a need or a want?" So if it’s for something that will help your practice AND can be measured to and proven to make you be more productive, that’s a good move. But if you’re just living outside your means, it’s time to pull back on the financial reins and practice a little more fiscal responsibility. When deciding whether to invest in something or pay down your debt, think about the “opportunity cost.” If you use the money on one item, think carefully about what you won’t be spending it on. You should strike a balance between debt and savings, but your current situation may require you to lean more toward one or the other. We’ll even go as far as saying that for a dentist to be a multi-millionaire, you must strike a good balance between both. Despite all the talk about imminent Interest rate hikes -- they still remain the lowest they’ve ever been -- and probably the lowest they will ever be in your lifetime. As a matter of fact, now is actually the best time in the history of financial lending to be in debt. Low rates mean that your practice debt compounds less than it would with higher rates, and the interest is tax deductible anyway. So if you don’t use cash to pay off debt today, use it as a down-payment for your financial independence when you’re over 65. An intelligent capital preservation strategy is critical as well – that is, to focus on saving more and taking less risk with that money in the market. If you don’t invest in your future now, you’ll have a lot of catching up to do as your retirement age draws closer. Pay off bad debt first. Save money and invest it in your retirement now with a laser-like focus on saving six-figures EACH YEAR for retirement. Once you’re on your way towards a healthy retirement, then you can start building a strategy to pay down your good debt as long as you are also making what you want from the practice. Make your decisions based on numbers and logic, not on emotion. Debt might not be fun, but it’s a lot more fun than realizing you can’t retire until you’re 80. If this makes sense, contact us directly. If you’re not sure, or need to hear more, download our success kit and we will follow up with your right away. 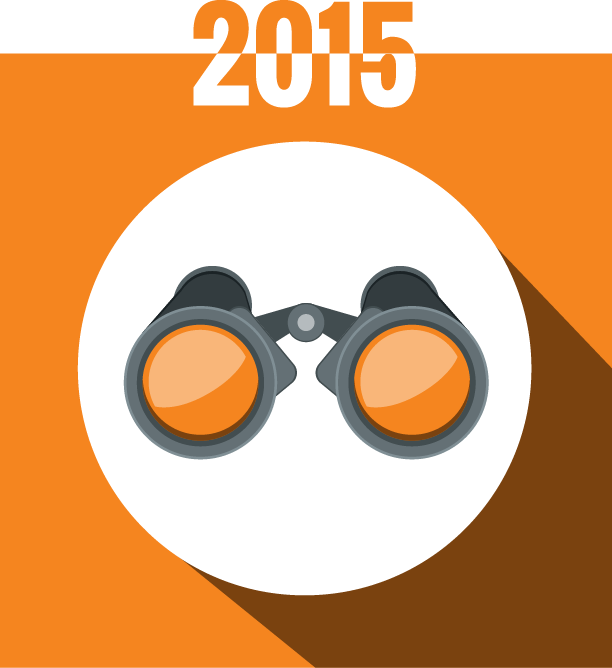 Believe it or not, we’ve hit the middle of 2015! So do you feel like you’re at the high water mark? If you’re like most dental practitioners, it seems like all you’ve done so far this year is pay tax bills for 1st & 2nd quarter 2015 while shoring up any 2014 tax obligations. If you haven’t paid any tax bills yet this year then you definitely need to keep reading to avoid a very unpleasant surprise. What was that line about taxes and death? Anyway, chances are your business accounts are tighter on cash than you would like. The last thing you can afford is a large expense that comes out of nowhere. And when a dental practice isn’t prepared to handle its tax obligations properly, your tax bill could end up a lot heftier than you planned for. Getting smacked again and again with a tax surprise doesn’t have to be a cost of doing business. Just ask our clients. While we will never make paying taxes pleasant, we can make the amount you pay predictable. This, in turn, opens up some new avenues for improving cash flow both in the practice and at home.. If the foundation upon which your practice’s finances are built is shaky, there’s a far greater chance of tax disaster. The corporate and income structures of the practice need to settle properly as the foundation before you build upon them. Establishing an S-corporation — instead of a sole proprietorship — allows you to maximize the amount of money you take in W2s, rather than distributions. Without taking these steps first, anything else you try to do will be a waste of time. With a rock-solid foundation, you can now build a system to forecast financial expectations for the practice. The forecast should center around historical trends including changes expected on a yearly basis from season to season, and anticipated changes from improvements in logistics and practice management. If your practice slows down every year when school starts, or maybe hits the afterburners in the beginning of the year, plan for that in your tax payments. Your system for accounting must be proactive, not reactive. This means account reconciliations should be done every month by your accountant, with the smallest number possible of uncertain or uncategorized transactions. The numbers should then be integrated into your business strategy and tax planning on a regular basis. Regular tax estimates should be based upon financial forecast changes and the practice’s overhead. Using prior year tax liability is a recipe for disaster if it doesn’t represent what your practice is currently doing. For example, a large piece of equipment may have been purchased and written off last year but that may not reoccur in 2015. As a result, a huge tax surprise! Finally, your business management, accounting and tax advice need to have cohesion. In a vacuum, no one can make decisions that are right for your practice. They don’t have the whole picture. To build an intelligent strategy, you have to look at your finances from both sides. To make the right decisions about your taxes, your accountant needs information about your whole financial picture (both business & personal) as well as retirement savings strategies. We’ve yet to hear from a dentist that has had this in place in over a decade—are you in this boat? This synergy will help you make more prudent decisions regarding hiring, purchases, handling of debt, changing fees – pretty much any decision that’s paralyzed you in the past. And putting these structures and systems in place will vastly reduce your chances of landing a $10,000+ tax bill at the end of 2015. 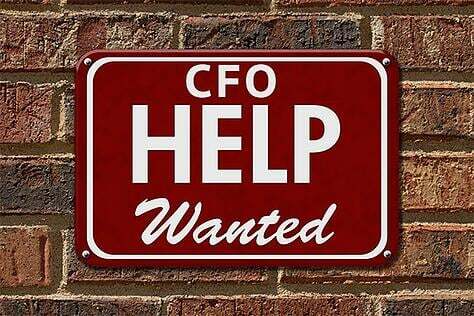 You Probably Need to Hire A Dental CFO. Today. Do you remember why you became a dentist? Was it simply to help people and be in the position to call your own shots? Do you remember the day you realized running a dental practice was not something you learned in dental school? It’s an admittedly overwhelming feeling that taught you quickly that being an entrepreneur is just as much part of the job as is being a dentist. While you may have mastered how to adjust a clasp on a partial denture without breaking it, financial independence has been hard to come by. “Why am I working so hard but not seeing the results I expected?" is another question you find yourself asking. If your dental school buddy visited your office today they may see a practice that looks healthy. After all you’re making $300,000 a year while reinvesting in the practice with technology to streamline it and a have a beautiful office. Best of all, new patients always seem to be walking in the door! Sure your friend is impressed, but does your smile on the outside reflect the whispers behind closed doors? Cash flow is tighter than you would like it to be — both for your practice and at home — and it’s keeping you up at night. Not to mention the worry that a tax surprise could hurt your cash flow even more. Add in the pains of growth, like hiring new staff, and it all might be getting to be too much. How can you juggle all of these areas while being a dentist, practice owner, and spouse/parent? These whispers of doubt are nothing new to established, and successful dentists. But oftentimes they flow from emotion and not reality. The pull from emotional decisions can be great. We’ve worked with enough dentists to know when the whispers become voices, it’s time for an external Chief Financial Officer to come aboard. We’re not talking about yet another staff addition, rather an outsourced entity that can take your practice financial state from a self-perceived hot mess to purring engine. Having righted many practices over the 11+ years all over the country, we’ve created a predictable flow of cash to plug the financial leaks. Predictable cash flow means you won’t have to check your bank account daily and be surprised at what you see – or terrified that you won’t have the cash to deal with what’s coming. Your cash flow at home will finally be consistent so you can begin to build your personal accounts and save more for retirement. 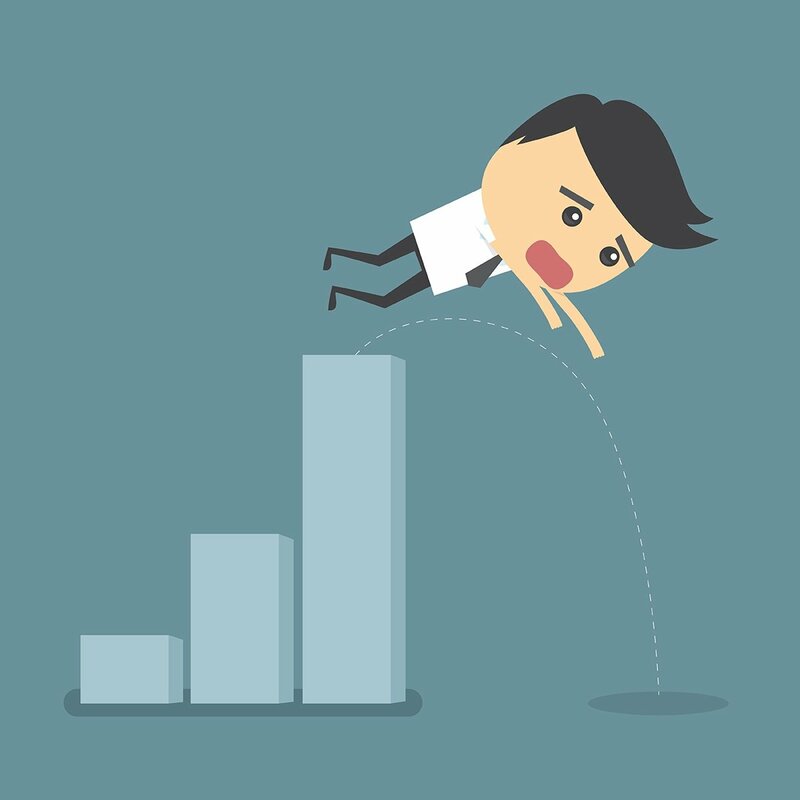 A CFO says “What you need to do over the next few months . . .” instead of, “What you should’ve done last quarter . . .” This means you’ll be free of the fear of cash flow concerns at home and in the practice. You will have the kind of a specialty firm working with you to amke your practice dreams become a reality. You don’t have to be paralyzed by every financial decision that comes across your desk because you’ll have a team backing you. “Is that new procedure or equipment that I WANT, or something that we NEED?" The CFO should have an answer and help you make decisions like these, then take it a step further to evaluate the best way to pay for it. They will also chart a path to arrange financing if necessary so you can focus on being a dentist. 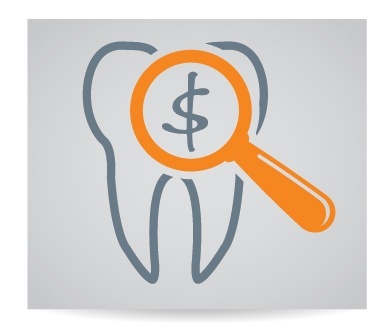 Once a predictable stream of cash begins pumping through your practice’s veins, the dentist can look homeward. You can save more for retirement – double or triple what you were before – and all of this comes without substantial changes in your lifestyle, either at work or at home. Is anyone interested in increasing their retirement savings two to three times without impacting their personal lifestyle at home? The good news is you won’t have to change the way you work, you won’t have to bring in loads of new patients. Simply fixing what’s wrong with your current financial structures and systems will totally change your situation. Whether you feel that you have a lot to improve upon or think you’re pretty close but just not willing to accept where things are, a dental CFO is simply the best investment that you can make in your practice, your career, and your family. To find out how a Dental CFO can help your practice - contact our team today.